After a blistery winter, we are on our way to the first day of spring on March 20th. It's time to start thinking about possible spring date locations for you and your mate. Let's work on getting our date on. Dating does not always have to be expensive. There are definitely economical dates in the DC metropolitan area. 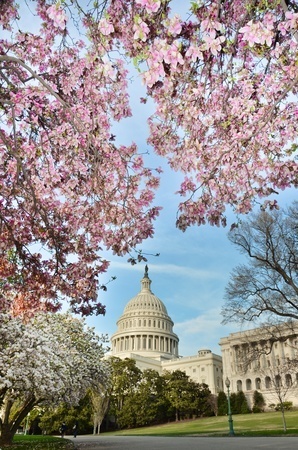 There is nothing like kicking off the season by taking your date to The National Cherry Blossom Festival. The festival has daily events for you and your significant other to participate in. You can check out the fireworks festival, live music, and the parade. Take time to enjoy the Japanese street festival, and learn about Japanese culture. Finally, you can just go to see the blooming of the Cherry Blossoms. If nothing else, you can hold hands and experience the beautiful Cherry Blossoms. Next, you can head out to Hains Point Park. This park is surrounded by the Potomac and Anacostia River in DC. You can go to the park for a picnic lunch, and spend the day with your significant other. At Hains Point, you will get to see the planes fly overhead while you eat surrounded by water. It's a nice place to sit, talk, relax, and get to know each other a little bit more. Our next stop is Brookside Gardens. Brookside Gardens is a 50 acre public garden in Wheaton, Maryland. Here you can view many tropical plants and experience the colors and smell of spring. In May, Brookside Gardens has a live butterfly exhibit; you and your spouse can go and check it out. If you or your mate are into visualizing and experiencing scenery, this may be a great date for you. There is also an opportunity to learn how to garden together; you can take these skills and work together at home to develop a garden. Another all-day date destination is The National Zoo. At The National Zoo, you can view a variety of animals, including pandas and cheetahs. The zoo has designated picnic areas for you and your date to eat. There are also many local restaurants downtown close to the zoo that would bring about a nice romantic atmosphere after spending the day at the zoo. As you can see, dating does not always have to be expensive. Since dating should be frequent, you should have a few dates that are short, cheap, and sweet. Ready set date your mate!